the cuteness of a toddler? We have a saying around here that Mommy and Daddy are the bosses, collectively and separately…. but when this child is staring you in the face, all bets are off. By the way, if you are wondering what’s on his head, it’s a fence (corral) from his John Deere playset. Instead of setting it up on the floor and putting horses and tractors in it, he decided it looked better as a fashion accessory. 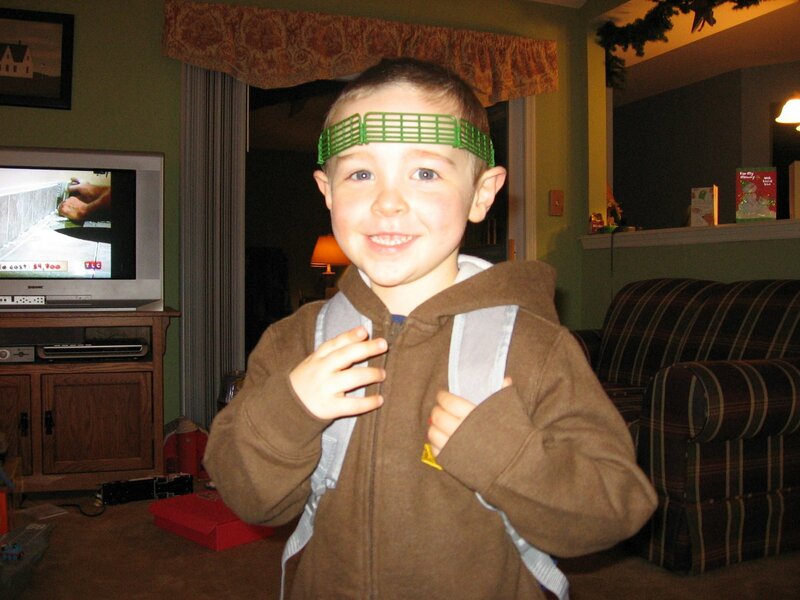 When I asked him what it was he put on his head, he said, “I am the KING Mommy”….